An effortless and safe way to maneuver heavy equipment, tools and supplies. Powerful 1-1/8 HP, 800-watt 110-Volt UL listed motor for long service life, 800 lb double-cable lifting capacity capacity, 440 lb single-cable capacity stabilizing lift-hook weight. 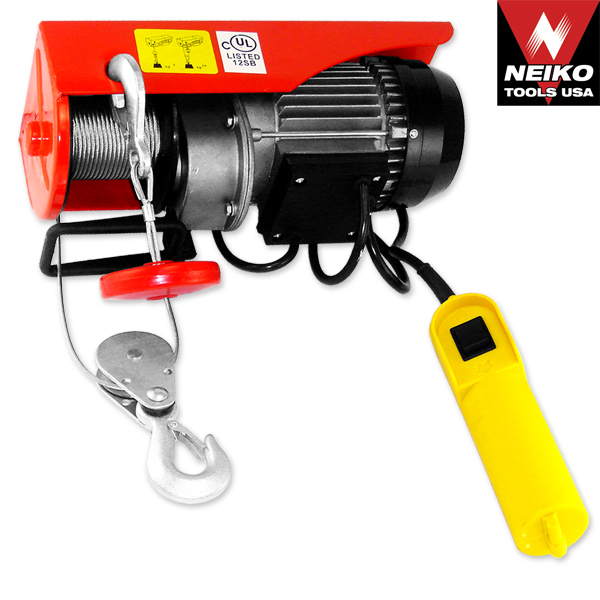 Lifts loads up to 33' per-minute on heavy-duty 38' 3mm galvanized steel cable. 6' control cable with easy-to-operate, moisture-resistant remote control switch. 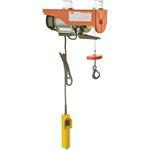 Shop Fox D4070 Electric Hoist 440 lb. 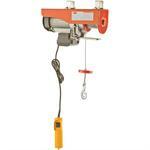 Shop Fox D4077 Electric Hoist 880 lb.